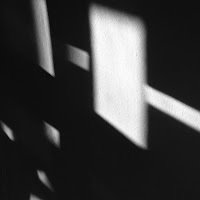 The new year - if not a turning point as such, a pausing moment for looking back and looking forwards, across publications, award successes and new reviews. 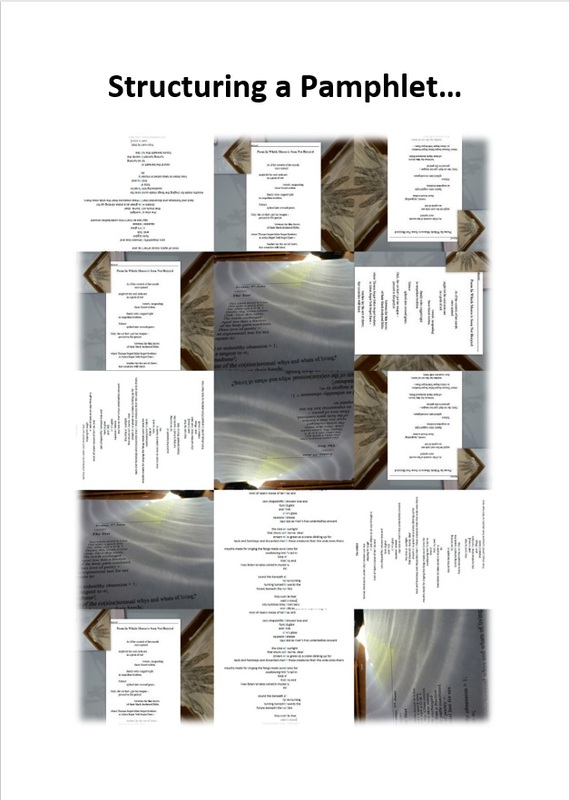 Since V. Press's publication of Jacqui Rowe's Ransom Notes in 2015, V. Press has published 25 titles, across poetry and flash. In 2018 this included: How to Parallel Park, Against the Pull of Time, A Z-hearted Guide to Heartache , These nights at home, Unable Mother , Like love, Three Men on the Edge and There's Something Macrocosmic About All of This. 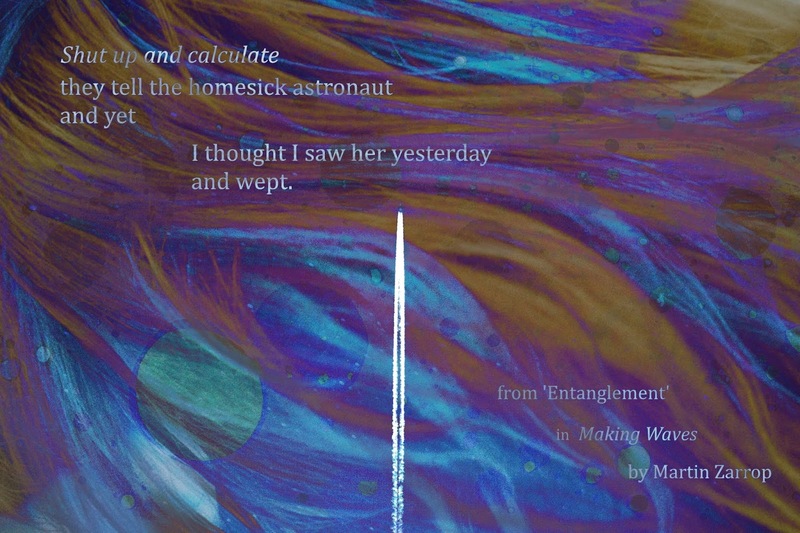 This past year saw Romalyn Ante's Rice & Rain win the Saboteur Awards 2018 Best Poetry Pamphlet, with Claire Walker's Somewhere Between Rose and Black shortlisted. 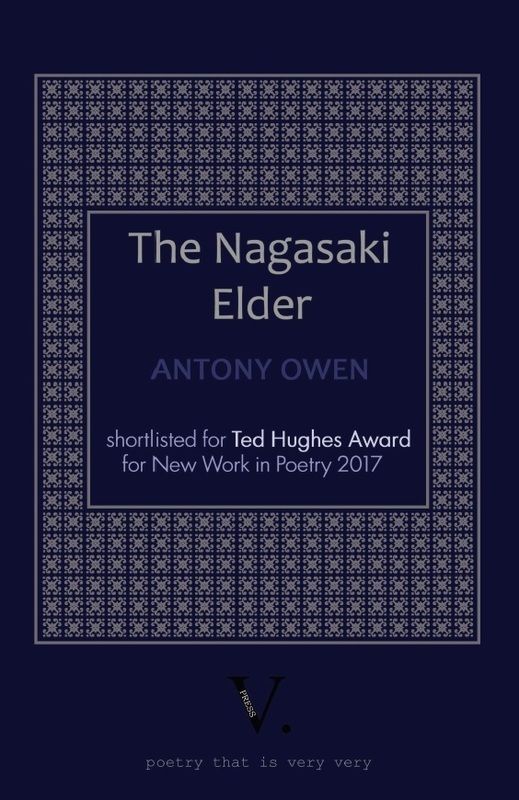 Antony Owen's The Nagasaki Elder was shortlisted in the Ted Hughes Award for New Work in Poetry. But the end of one year is the beginning of another, and we've more than ever lined up for 2019, including Jinny Fisher's The Escapologist (pamphlet), Martin Zarrop's Making Waves (pamphlet) and John Lawrence's The boy who couldn't say his name (collection), which are already available for pre-order! V. Press is also starting the new year with a new feature - Love Thursdays! Every Thursday from January 3 right up to Valentine's Day, we will be sharing a selection of love poems and flashes by V. Press authors. Yes, there is romance, but also the grittier real-life edge of love too! 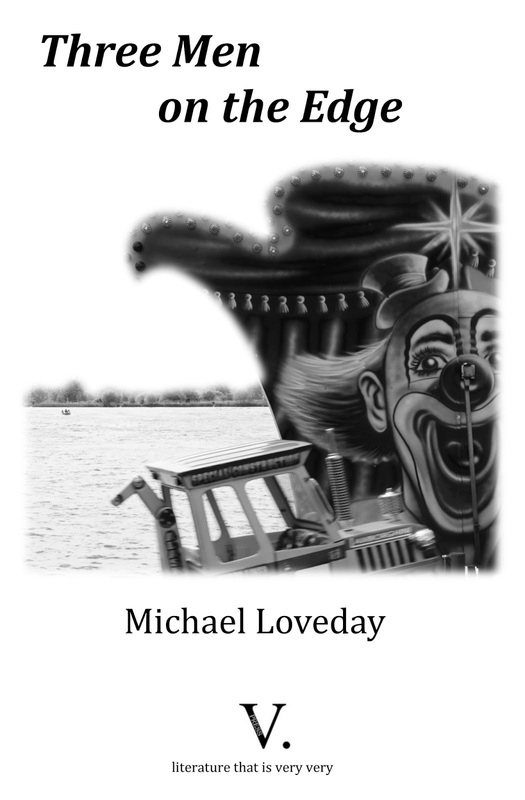 And our 2019 fiction publications will include The Neverlands by Damhnait Monaghan and Midnight Laughter by Paul McDonald. 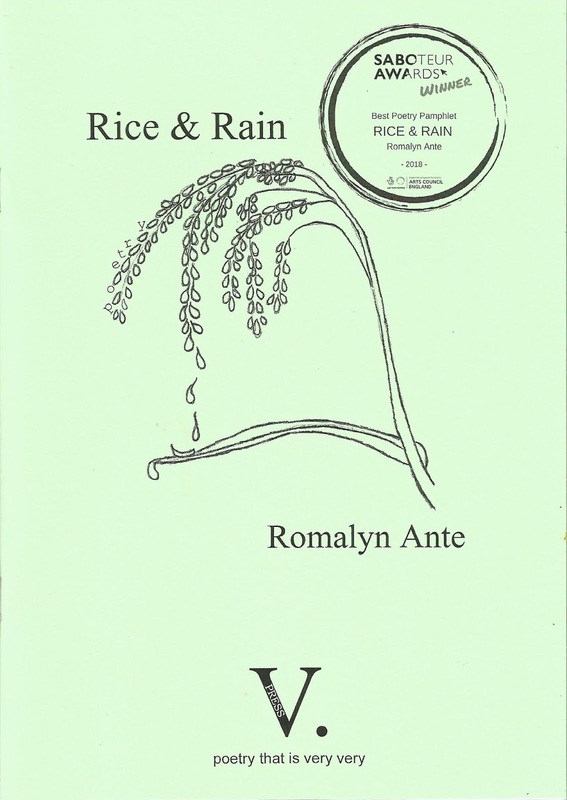 V. Press is very delighted to end 2018 with Romalyn Ante's Rice & Rain praised in the TLS. 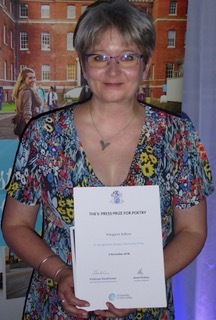 The pamphlet was also one of Liz Berry's choices for a 'perfect poetry Christmas gift' ('treasures') in the winter issue of Poetry News. 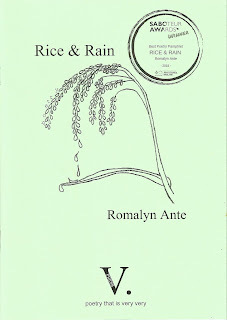 For more about Rice & Rain, a sample poem and to order a copy, click here. 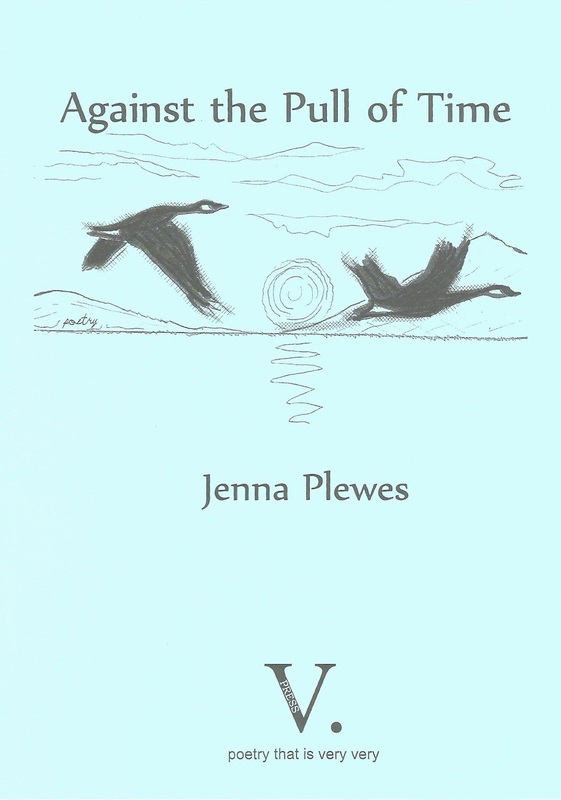 It also seems very serendipitous to mark the move from one year to a new one with news of two new reviews of Jenna Plewes' Against the Pull of Time. 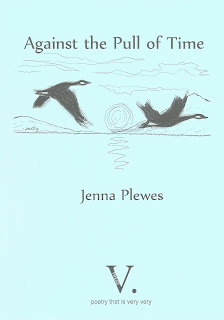 For more about Against the Pull of Time, a sample poem and to order a copy, click here. On the fiction front, Three Men on the Edge is also continuing to hit a strong note with readers and critics, including the latest new review. 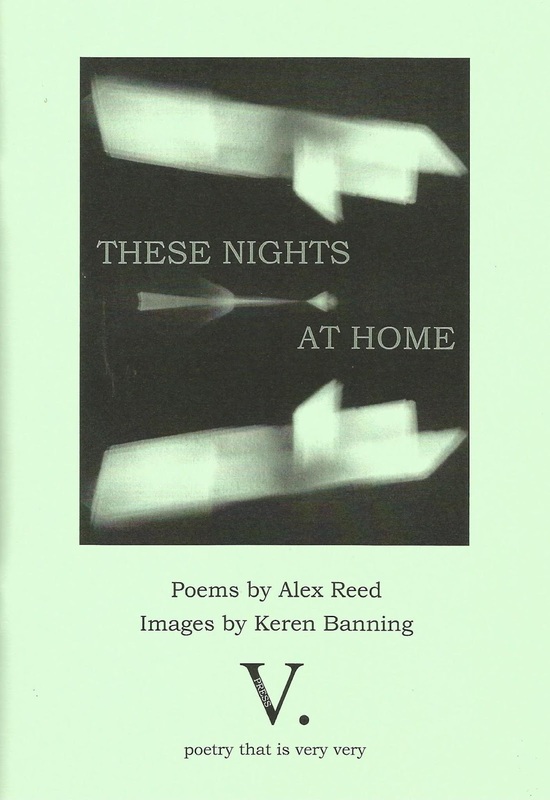 Our Cultural Intern Kibriya Mehrban's latest selection of 'Top Notes' are for These nights at home by Alex Reed (poems) and Keren Banning (photographs). Putting together a playlist for Alex Reed and Keren Banning’s work These nights at home presented a very particular challenge for me. When reading this, there is a painful clarity that it is grounded in a very real and very specific experience of grief on the poet’s part..."
Kibriya's full playlist recommendations, with her reasons for these choices, can be enjoyed on Chez Nous. A VERY VERY HAPPY 2019 TO ALL V. PRESS CUSTOMERS, READERS & AUTHORS!!! 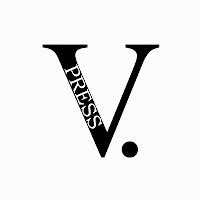 At V. Press, we've always believed that good poetry and fiction are more than just printed words on a page - they're an experience. 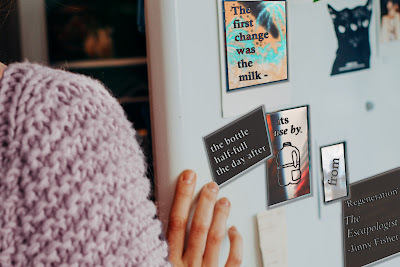 When readers buy a V. Press title, they get something more - be it a sharing of beauty, a shoulder to cry on, words that remind them they're not alone, an escape from mundane reality, inspiration, camaraderie, a chance to unwind...the possibilities are endless, and the experience unique to every reader with every title. 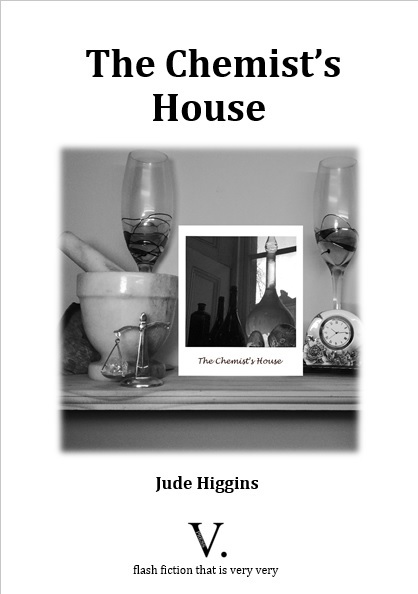 The sense that poetry and fiction are a pleasure that fits in alongside life and creates a wider experience as it does so, was one of the inspirations behind our Chez Nous section, suggesting wines, teas and other drinks that might be enjoyed while reading particular titles. 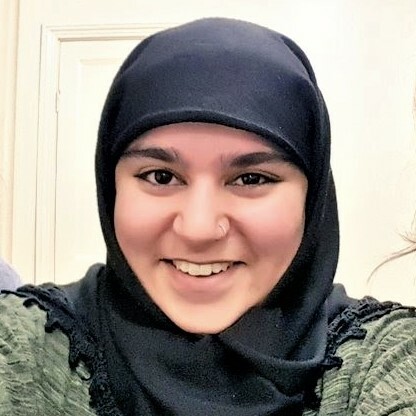 We're delighted that our Cultural Intern Kibriya Mehrban has come up with a new twist to this - Kibriya's 'Top Notes'. Over the next few months, Kibriya will be creating Chez Nous 'playlists' of the music she'd recommend as capturing the sounds of forthcoming V. Press publications. At first glance, this playlist is a strange mix of sounds. 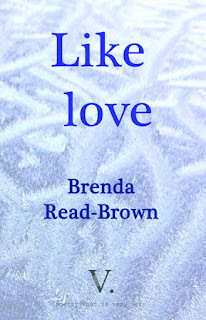 Like Brenda Read-Brown’s collection Like Love, it changes as you go through it and – also like the collection – it can surprise you..."
Kibriya's full 'Top Notes' Chez Nous recommendation for Like Love can be found here. More info about Jinny Fisher's The Escapologist can be found here and the pamphlet pre-ordered using paypal below. September: seasons of mists, mellow fruitfulness - and the London Poetry Book Fair!!! 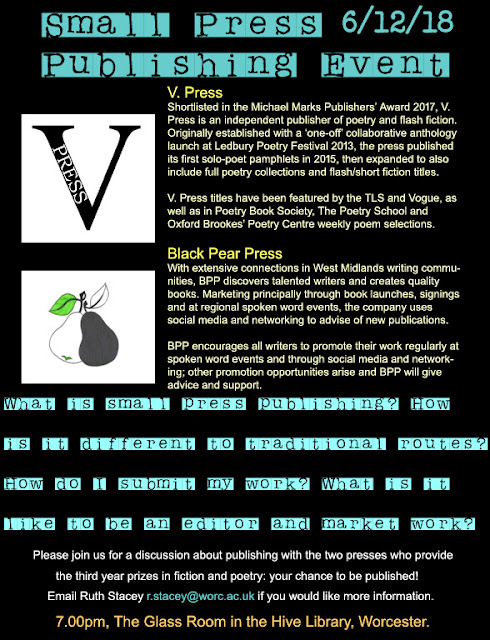 V. Press is very very delighted to be heading to London for Free Verse, the annual Poetry Book Fair, on Saturday. 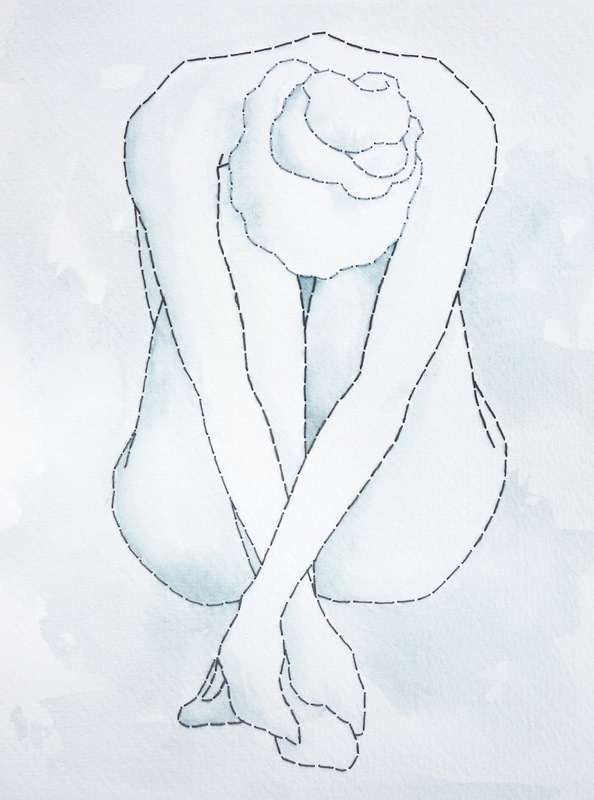 This year the fair has been organised by The Poetry Society, and takes place at a new venue: Senate House (William Beveridge Hall), London, Malet Street, London WC1E 7HU, from 11am to 5pm. More than 80 publishers and poetry organisations are taking part this year, with the event also offering workshops and daytime readings. More about this year's fair can be found here. Meanwhile, here at V. Press, we're busy packing and planning special sales offers. It's always so lovely to be able to meet readers in person, so please do stop by and say hello! 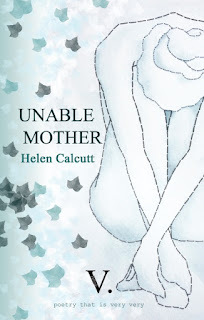 V. Press is very very delighted to launch Helen Calcutt's debut poetry collection Unable Mother. A sample poem from the collection can be enjoyed below. I can bear the worst of human music. where my hearing is suspended. every coil to a chord. I sing, though you wouldn’t know it. to bare my neck, and touch you. 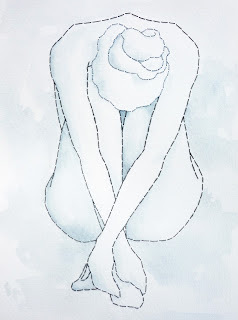 a child who says she hurts. V. Press is very very pleased to share some new reviews and news of titles out soon. 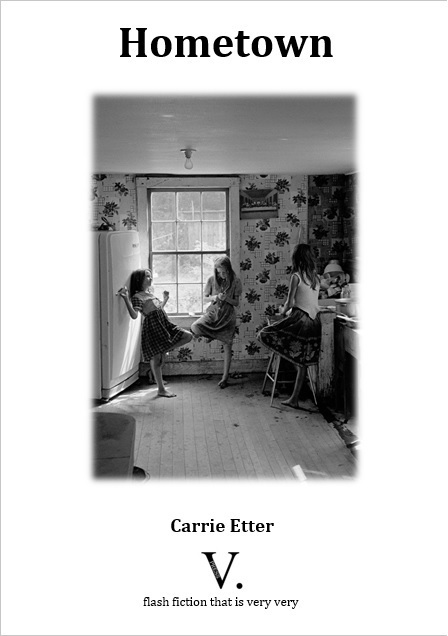 "Walker’s style is poised, trembling on a knife’s edge, eloquent on emotional frailty and unspoken intimacies. We follow the speaker through a whole narrative arc of temptation, infidelity, and the hope for forgiveness. 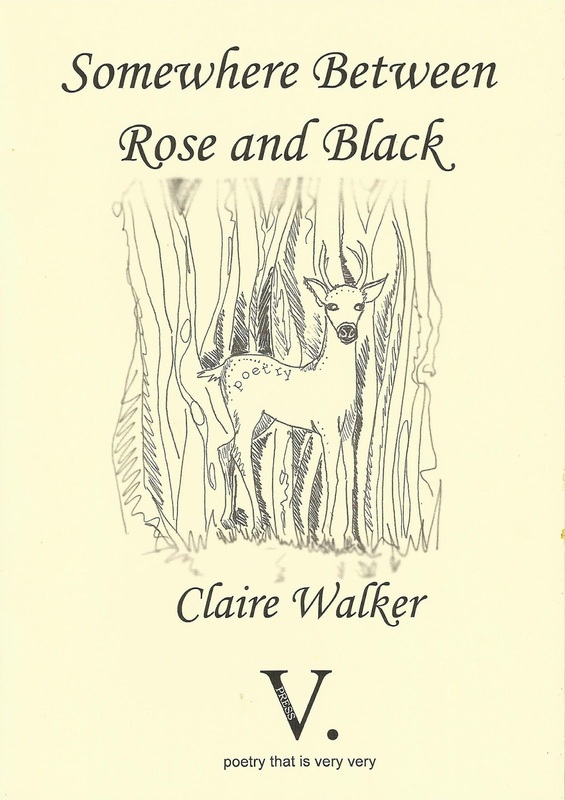 The stag who causes damage to the garden brings trouble, but is, in the end, preferable to a pruned and suppressed landscape, reflecting the speaker’s own ‘untamed’ qualities and her desire for warmth and contact." 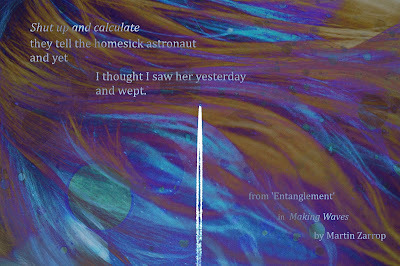 More on the pamphlet and a sample poem may be found here. 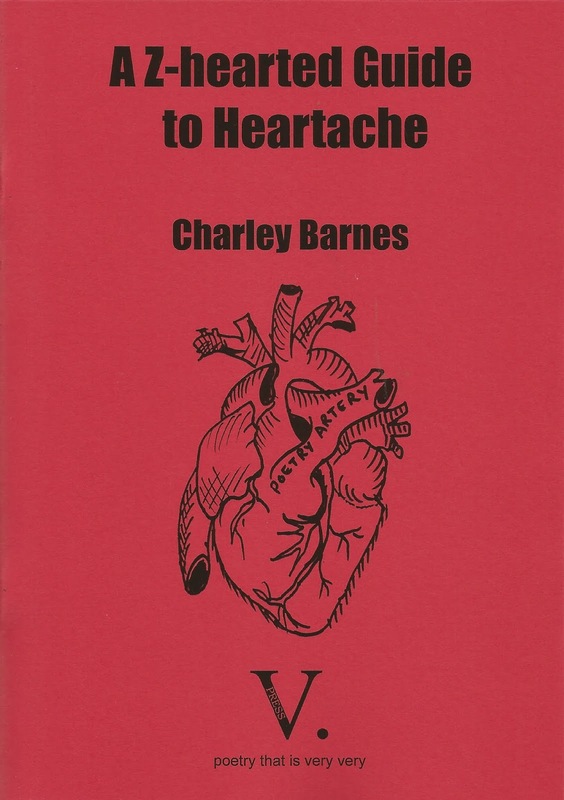 "Written with love, honesty, and a hint of frustration at times, A Z-hearted Guide to Heartache will take you from one end of the emotional spectrum and back again... A brilliant collection and I'm looking forward to more from Charley Barnes in the future!" 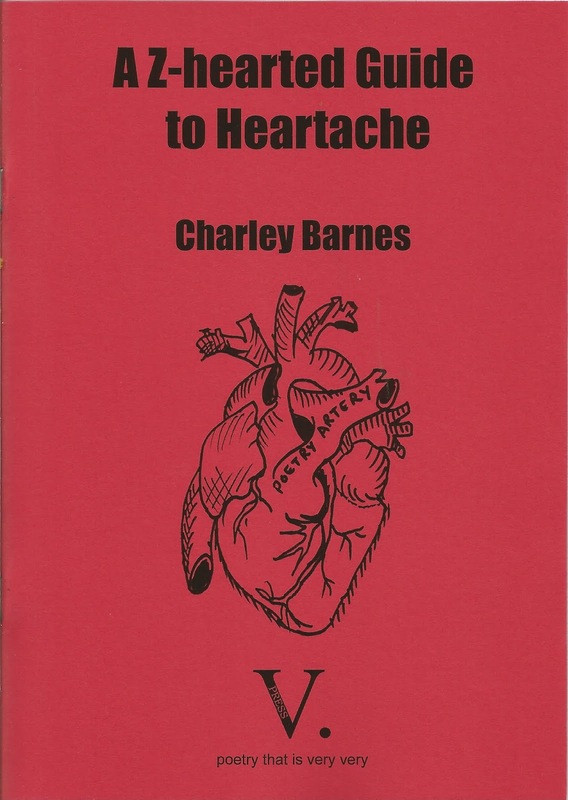 BUY a copy of A Z-Hearted Guide to Heartache now using the paypal link below. Last blogpost, we revealed details of our first guest editors and the pamphlets they've selected as forthcoming V. Press publications. V. Press is also very pleased to share the news of two new pamphlets by existing V. Press poets Alex Reed and Kathy Gee. Kathy Gee's forthcoming Checkout mixes elements of flash fiction, poetry and radio play to create a compelling and characterful poetry narrative. Working in collaboration with photographer Keren Banning, Alex Reed's These nights at home is a longer pamphlet that both stands alone and continues the narrative from his earlier A Career in Accompaniment. Early 2019 also sees the publication of John Lawrence's debut collection The boy who couldn't say his name so we're already looking forward already to another year of very exciting publications! More on all these titles to follow shortly, and just a reminder that main decisions on shortlisted submissions from the recent submissions window have not yet been made - so don't worry if you're one of the shortlisted authors and haven't yet had a response. Forthcoming this year, we also have Helen Calcutt's debut collection Unable Mother next month and Brenda Read-Brown's collection Like Love in November. 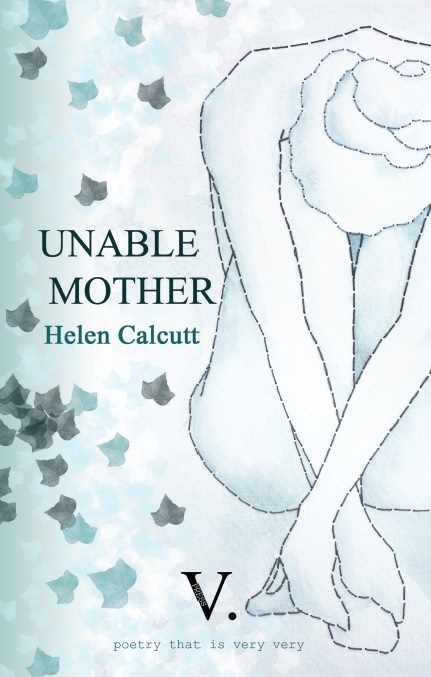 Unable Mother is a collection of poetry by Helen Calcutt that is very revelatory and very achingly poised. A sample poem and more about the collection can be found here. 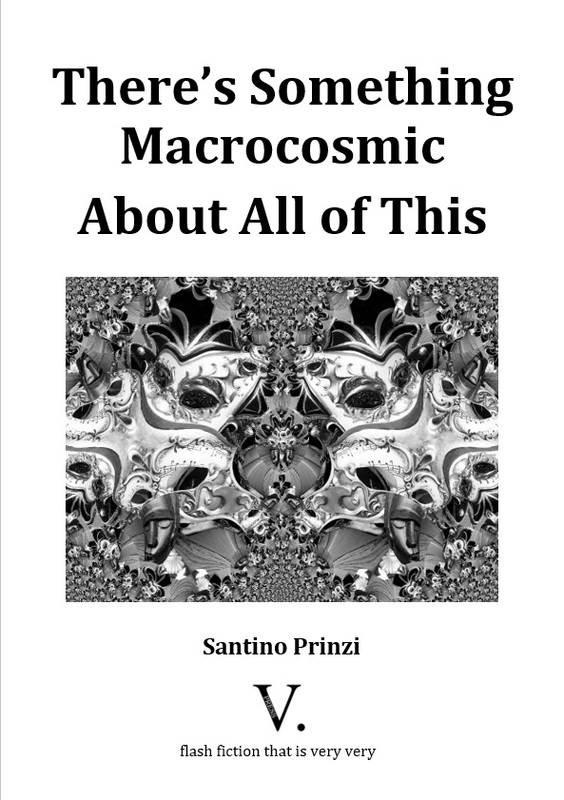 A copy of the collection can also be ordered with the paypal link below. Meanwhile, Like love by Benda Read-Brown is a poetry collection that is very open and very unpredictable. A sample poem and more about this collection can be found here. V. Press also has a new print run of Antony Owen's collection The Nagasaki Elder, complete with a new cover to celebrate his shortlisting in the Ted Hughes Award for New Work in Poetry 2017. A sample poem and more about this collection can be found here. The Nagsaki Elder can also be ordered using the paypal link below. We do have a few copies from the original print runs still, so if anyone would particularly prefer the new or old cover, please do request this when ordering.